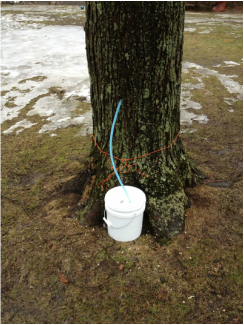 In 2013, we tapped our maple trees for the first time. We were able to make our own maple syrup and maple syrup candy. We experimented with two different collection methods.